The FCC granted T-Mobile's request and will clarify exactly what a "commercially reasonable" data roaming agreement is. Back in May, when the carrier petitioned the FCC, it said that larger mobile operators like AT&T have taken advantage of the wording of the agreement to reject roaming requests. 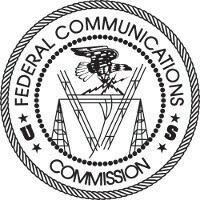 But now, the FCC has agreed to eliminate the vague language of the agreement despite objections from AT&T, which said it will appeal the decision to the full commission. Verizon also voiced its displeasure over the FCC decision. When T-Mobile filed its petition with the FCC earlier in the year, it suggested four benchmarks that the FCC should use to determine how reasonable a data roaming deal is. T-Mobile's filing with the FCC said that retail rates, international roaming rates, MVNO/resale rates, and roaming rates charged by other providers should be part of a new data roaming agreement. In a statement, the FCC agreed with T-Mobile, saying that the data roaming rule was intended to allow a party to complain if the proposed roaming rates offered are higher than the four benchmarks mentioned by the nation's fourth largest carrier. For its part, T-Mobile praised the FCC's action. "We commend the FCC for taking this important step to promote competition by facilitating reasonable data roaming rates for all carriers and their customers," said Andy Levin, T-Mobile's senior vice president of government affairs. T-Mobile found support for its position from smaller carriers, the Competitive Carriers Association and Sprint. Props to T-Mo! Coverage footprint has been used as an exclusionary tactic by AT&T and VZW to build their duopoly. I wish T-mobile had better coverage in my area, they really have there head on straight. At&t and Verizon are just straight evil. I just went to Portugal for 10 days and I was roaming all the time , wifi calls at hotel ,and no a dollar extra in my bill , t mobile is amazing , when not wifi i use skype with the 3g signal and it works perfectly , also imessage . Thanks T mobile , the most pro consumer company now a days !!! And the beneficial consequences of a presidential administration in Washington that believes in competition continue to make themselves felt. Now if only Mr. Wheeler would listen to the guy that appointed him and take the same attitude to landlines that he does with wireless. The way President Bush and Michael Powell were handling things a decade ago, we'd have ended up with just two or three wireless carriers, probably with rates even worse than Canada.